Cpl, Ireland’s leading talent solutions provider, have taken their first steps into a partnership with Tennis Ireland by generously supporting Ireland’s 2019 Fed Cup campaign, driven by their desire to support Rachael Dillon and the rest of the Fed Cup team. Rachael is Talent Analysis Lead with Cpl and is also one of Ireland’s leading tennis players. Rachael has represented Ireland in the Fed Cup on seven occasions and is a shining example of hard work, commitment and achievement both on and off court. The professionalism shown by the Fed Cup team in terms of combining the professional level of practice hour commitments with full time employment or studies clearly illustrates their desire to succeed at the very highest levels. The Fed Cup is the largest annual women’s international team event. The team are currently in Montenegro, preparing for a Group 3 Round Robin Campaign. The draw takes place on Tuesday 16th April and Ireland will be in either Pool A with 2 other nations or Pool B with 3 other nations. Our potential opponents are: Norway, Egypt, Armenia, Morocco, Montenegro, Kenya. “I am so grateful for the support from Cpl as both an employer and sponsor to enable me to represent Ireland again in the Fed Cup this year. Their support of me and the fantastic young players in the squad clearly demonstrates their commitment to the development of women in business and in sport; and illustrates how a progressive company leads by example”. 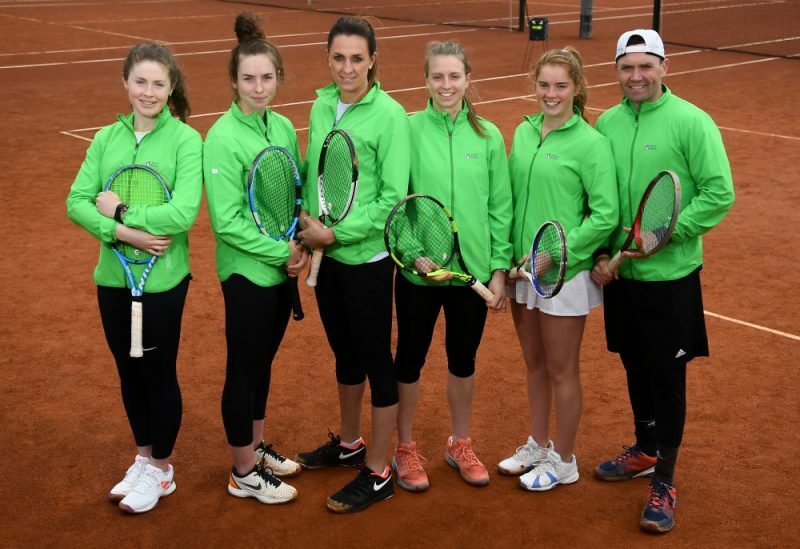 Tennis Ireland is the National Governing Body for the sport of tennis in Ireland. Tennis Ireland was founded in 1908 and has over 200 affiliated clubs and 40,000+ members and an additional 30,000 recreational players. Tennis is, in terms of sentiment, Ireland’s 4th favourite sport. Tennis Ireland stages events such as The AIG Irish Open Championships, ITF Futures events, The Fed Cup and The Davis Cup. It also operates a variety of development programmes on both a national and provincial level, for both senior and junior elite players. Tennis Ireland is a Company limited by guarantee and without share capital.